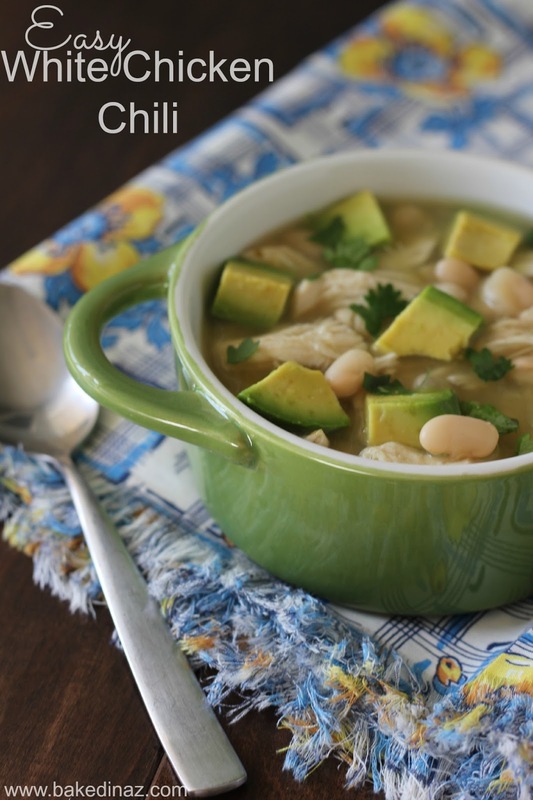 This soup only has 5 ingredients! (not including toppings) Love a simple recipe. My husband is not really a soup lover but when he was eating this the other night he said “this soup shouldn’t be this good!” Yes! He liked it and it was really easy to make. And to top it off, healthy! I am going to keep these ingredients on my pantry shelf for those nights when I need something fast! If you were really crunched for time, you could use canned chicken or better yet, keep some cooked shredded chicken in the freezer. Because of the salsa, this soup is a little spicy. For my kids, I didn’t give them much of the broth and both of them liked it. My kids don’t mind spicy food, as long as it’s not too spicy. Add the broth, chicken, beans, salsa & cumin to a large pot over medium heat. Season with salt and pepper. Bring the soup to a boil then reduce to a simmer until heated through. About 5 min. 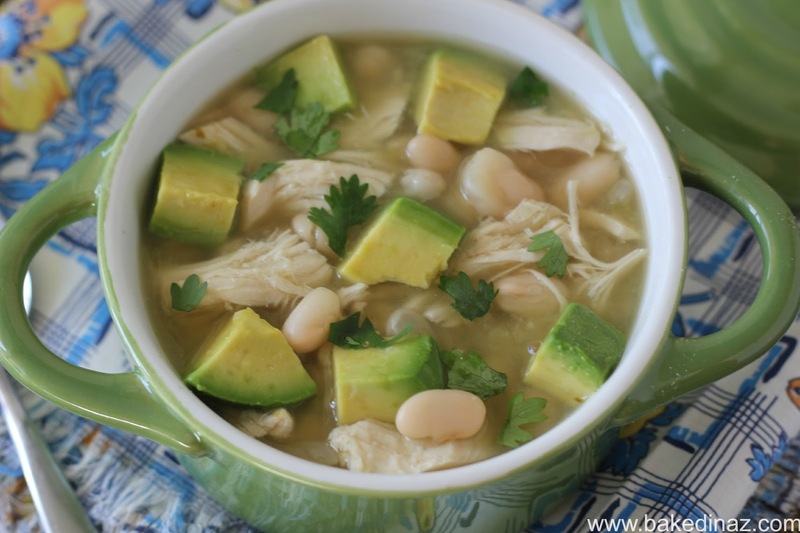 Notes: I think the avocado is a must for this soup! And the cilantro adds a great flavor as well. 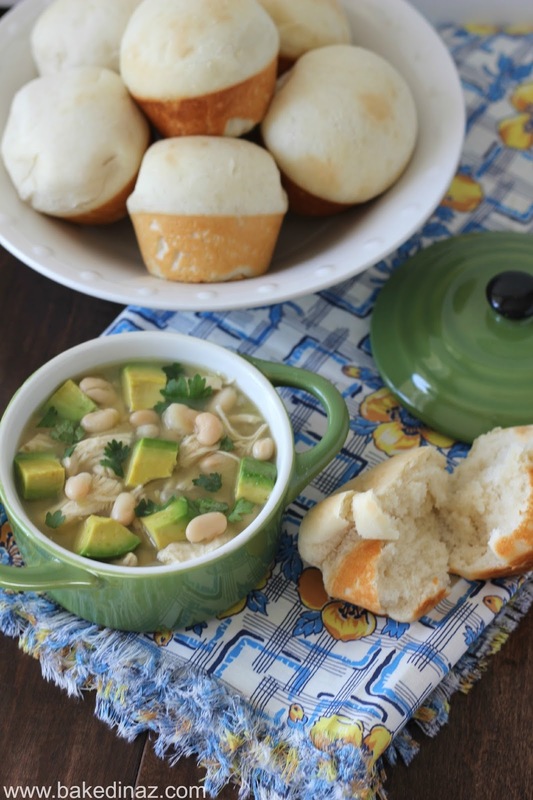 I served one hour dinner rolls with this soup and it was perfect! Yes, I said ONE hour! I’ll share the recipe on Wednesday. Simple yet delicious!! I have to try this soon! Pinning! P.S. DYING for that dinner roll recipe!!!!! Yay! I am excited to share it! It's so good and you would never know they are ready in an hour! I am so glad! Yes, makes like so much simpler. Sometimes you don't need a million ingredients to have a delicious meal! 🙂 Thanks for stopping by!